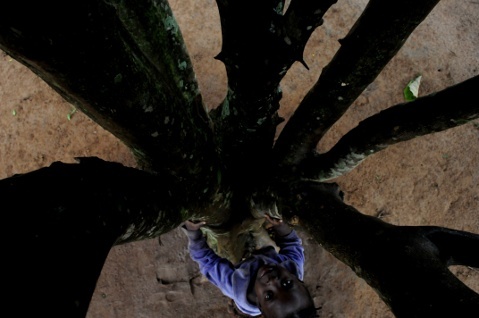 A child plays under a tree trunk in Soroti, about 370km North East of Uganda’s capital, Kampala on December 27, 2009. Copyright © Echwalu Edward. were u up in the tree? !